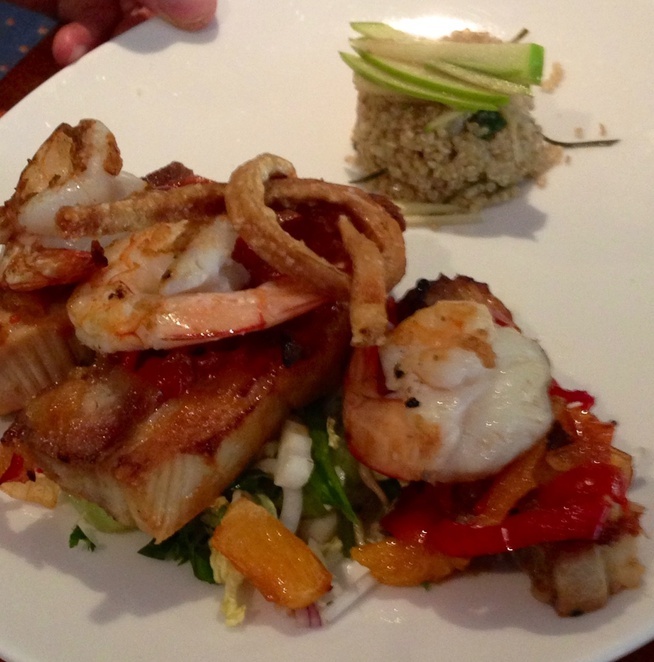 What do you look for when choosing a place to dine at? What do you look for when deciding where to go and eat lunch? Is it location? Is it fresh food? Is it good reviews? Is it convenience? Or does price dictate your choice? Well for me, I like to choose by location, preferably one with a pleasurable view. I then like to check out the menu and base my selection on freshness, variety and how mouth-watering it sounds. So being able to choose a place locally for us that ticked these boxes was certainly a bonus. The atmosphere and ambience of a place adds to the whole dining experience and our family enjoys going out and indulge all of our senses. This is how we ended up having lunch at Danny's Restaurant at Scarborough on the Redcliffe Peninsula recently. The location is by the picturesque beachside of Scarborough. With both indoor and outdoor sitting areas, your view overlooks the water of Moreton Bay. We were lucky to have absolutely beautiful weather and views to match on this particular Sunday. The food at Danny's Restaurant matches the view - beautiful. Dining here for lunch we had a lovely selection to choose from, making it somewhat difficult to choose as most items sounded delicious. We all were particularly happy with our choices and our stomachs thanked us. 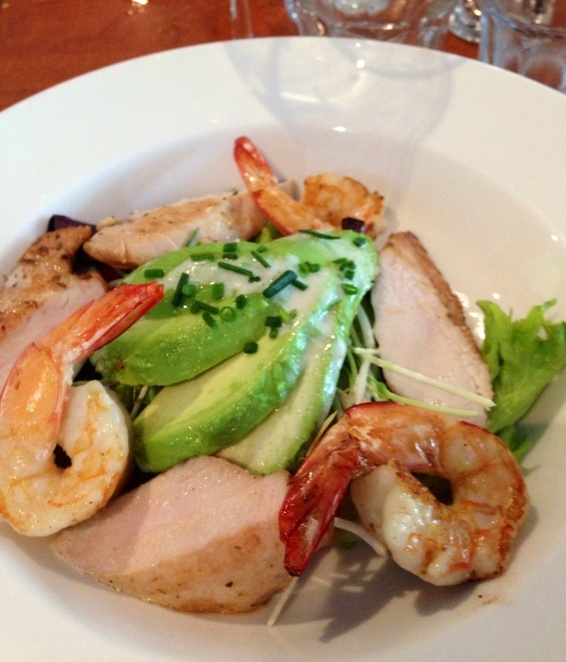 I was extremely happy with my prawn and chicken salad ($28) as it was loaded with fresh avocado and salad leaves with a decent number of fresh and tasty prawns. My husband chose the pork belly with king prawns ($29) and a taste or two of his proved that he also had chosen well. My son was very happy with his grilled snapper (fish of the day) with bok choy. I am not sure if being by the ocean factored into our decision to order seafood but I am glad we did. It certainly was fresh. The meal sizes for lunch were very generous and we had no room for dessert. A glass of white wine, accompanied by the view and our Sunday afternoon was a most relaxed and enjoyable one. You can choose to dine in the Restaurant or if you were just after a causal drink and a bite to eat then the View Wine Bar (outdoor sitting area) which overlooks the waters of Moreton Bay would be more suited your taste. The atmosphere was complaisant and the crowd were in good spirited moods. The wait staff were attentive initially but towards the end of our meal, we needed to flag them down to replace our water at our table. 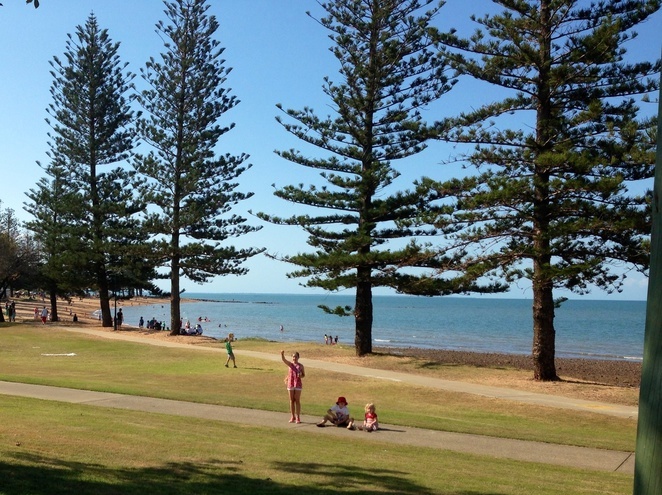 Parking can be limited on the weekends due to popularity of Scarborough beach but there is ample car parking behind the building and side streets. The Restaurant is wheelchair friendly with both indoor and outdoor sitting. 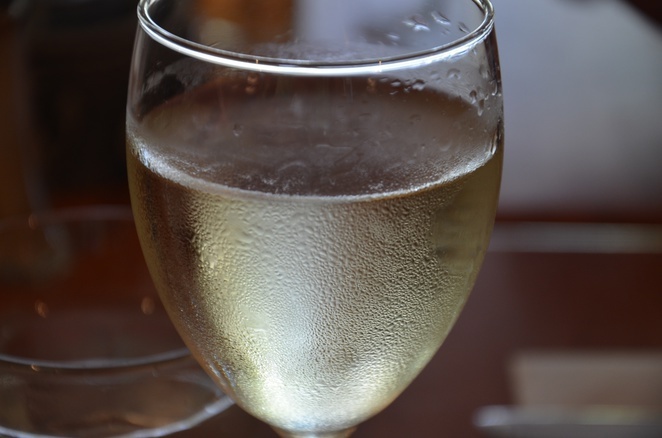 It is fully licensed with an extensive wine list, but you can BYO bottled wines. The also cater for gluten free and vegetarian dietary needs. 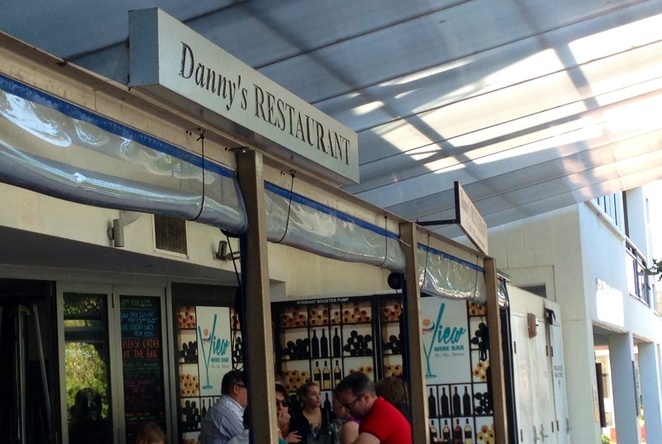 So however you choose upon a place for lunch or somewhere good to enjoy a meal make sure that you check out Danny's as an viable option. I usually choose by atmosphere. I like quite places with low lighting, and not too many people. If it is busy with lots of chatter and loud music then I stay away. You can't always tell before you go in for the first time though. If you pick by location, then at least you already know where you want to be. Did you know that, from time to time, they run a Sunday lunch in partnership with Play With Your Food Dinner Theatre Company?